Do 你 Have A Crush On The Younger Mike? Sweet little michael.. which one?? What is your 最喜爱的 picture with little Michael??? 1. I Wanna Be Where 你 Are: 爱情 this song! Michael, I wanna be where 你 are! 2. Ben:I like the movie and the song! This song is about friendship between a kid and a rat! Aww!!!! 3.With A Child's Heart: Such a lovely song! With a child's heart...love the way Mikey sings it! a comment was made to the poll: Do 你 Have A Crush On The Younger Mike? 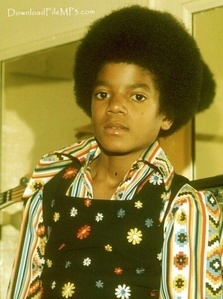 an answer was added to this question: What is your favorite picture with little Michael??? No he didn't and I know that for a fact! Post your 最喜爱的 smiling picture of little Michael!! !